All the offers from the Amber specialist. 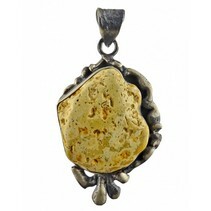 At the Amber Specialist we have regularly great sales! All discounted items are collected on this page. Don't want to pay to much? Are you looking for a small gift? Or do you looking for a great deal? Here you are at the right adres for minerals, fossils, meteorites or discounted loupes. We regularly add new items, so don't be a stranger and find your favorite stone for a rock-bottom price! Always looking for the latest offers? Subscribe to our newsletter (for this moment only available in Dutch).